The program serves youth ages 5-18 from the Mount Vernon, WA communities of Kulshan Creek, Casa de San Jose and Harrison Apartments, introducing young people to our region's special places, increasing their knowledge of the natural world, enhancing their self-confidence and encouraging positive social interactions with peers, adult mentors, community members and local organizations. Field trips to Mount Baker-Snoqualmie National Forest, North Cascades National Park, Ebey’s Landing National Historical Reserve, Padilla Bay National Estuarine Research Reserve, community gardens, local farms and elsewhere expose kids to special places that they wouldn’t otherwise have the opportunity to experience. Since 2007, more than 500 youth have learned about bears, bats, marine biology, migratory birds and the natural history of the Skagit Valley through monthly visits to local public lands with a variety of educators. Kulshan Creek Neighborhood Youth Program is a unique partnership between North Cascades Institute, Mount Baker-Snoqualmie National Forest, Mount Vernon Police Department, Catholic Housing Services of Western Washington and North Cascades National Park. Provide a pathway for students to continue their engagement through next step opportunities including Youth Leadership Adventures and exposure to internships and careers in natural resources, community services, and environmental education. As part of our goal to provide a pathway for youth to continue their engagement in conservation and the outdoors, participants are also invited to participate in Youth Leadership Adventures and the Youth Leadership Conference. 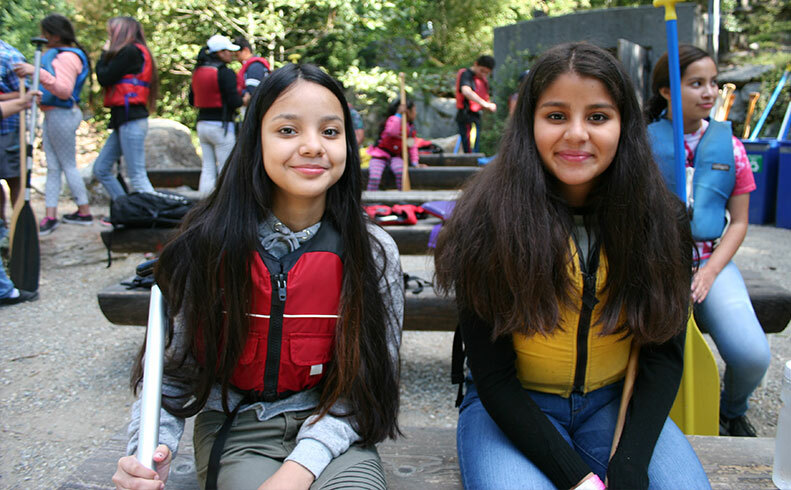 During summer field trips, Kulshan Creek students complete service projects and learn about sustainability and climate change under the leadership of Youth Leadership Adventures participants. Paid internships through Catholic Housing Services of Western Washington provide older students with the opportunity to develop their leadership skills through helping to plan, develop and implement the program. These “Neighborhood Specialists” organize field trips, recruit and mentor students, conduct outreach to local families, plan activities, and help evaluate the program and how well it is meeting community needs. For more information, please contact Amy Brown, North Cascades Institute Program Manager.